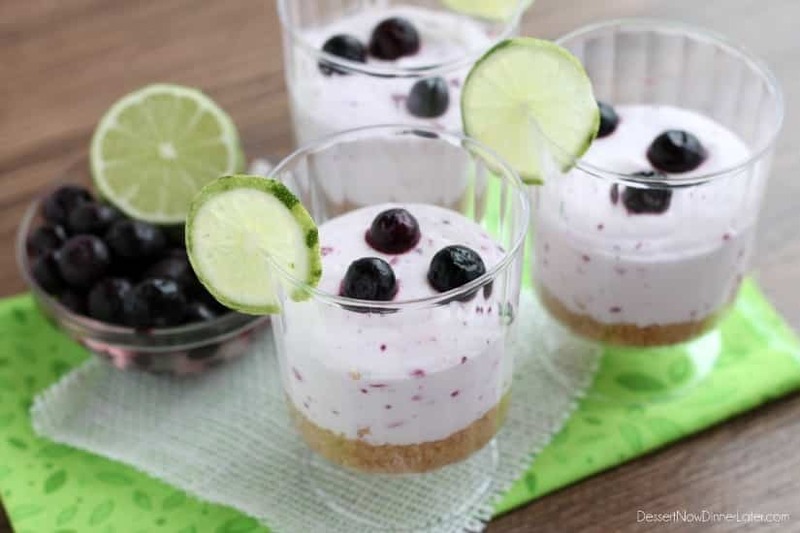 Blueberry Lime No Bake Cheesecake Cups - Dessert Now, Dinner Later! 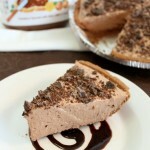 We’re in the heat of the summer, but that doesn’t mean you can’t make desserts! Why not make a no bake treat?! 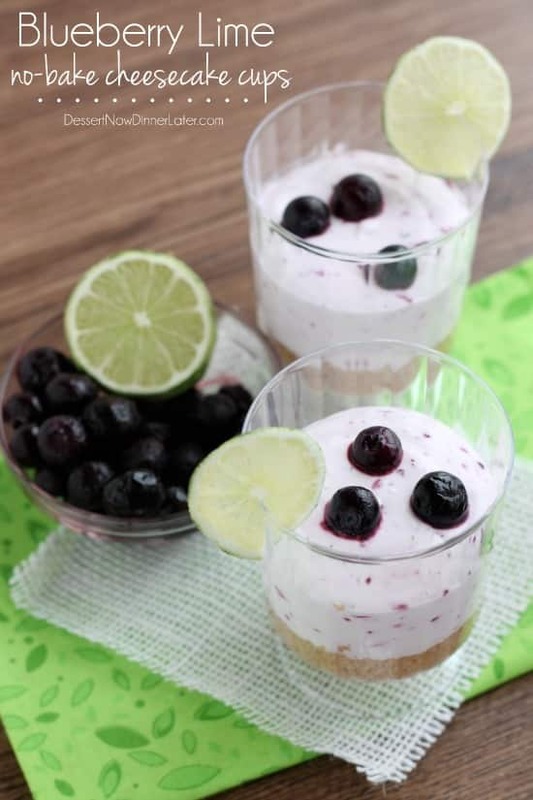 These Blueberry Lime No-Bake Cheesecake Cups are so fun and light in sweetness and texture. 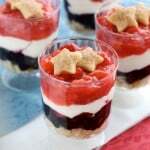 They are great to keep in your fridge and pull out when you are ready for a little something sweet. I totally used frozen blueberries, which I keep on hand because my kids love them in their oatmeal, but you can use fresh if you like, they will be just as good! If you follow me regularly, you know about my lime addiction, so I had to pair the blueberries with limes just for fun. It adds just a hint of citrus, which to me, is the best summer flavor! 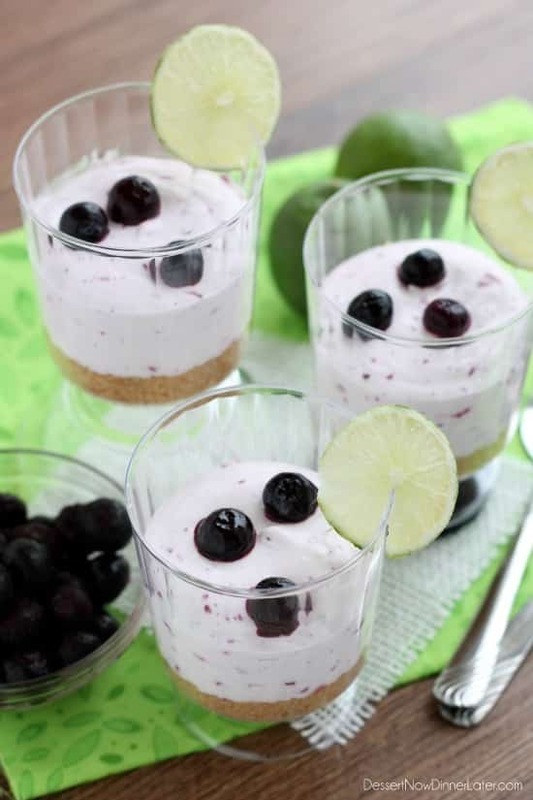 These cheesecake cups will not last long once you make them! There is just something fun about an individualized dessert in a cup that makes both kids and adults alike, excited to eat it! 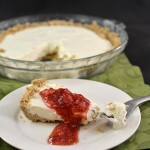 The little cups sure make these great, but I just love a no bake cheesecake because once it’s refrigerated, it’s light and puffy and so smooth. 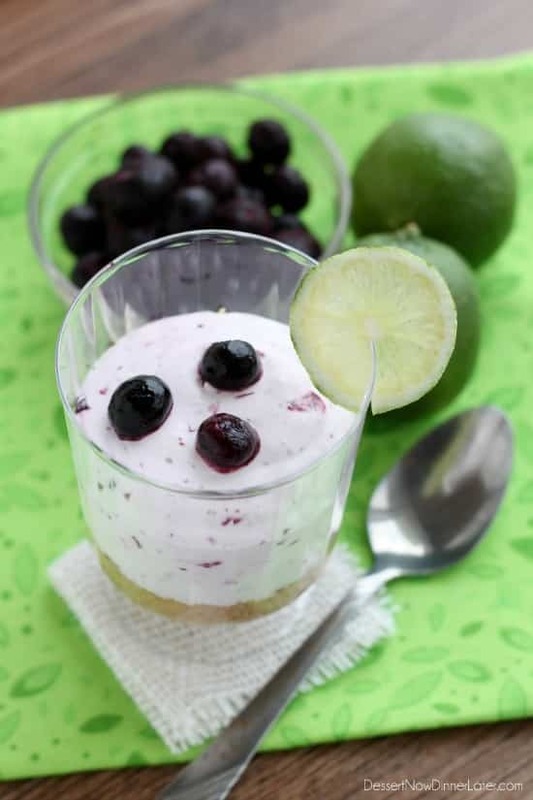 This blueberry lime version adds just the right amount of fruity pleasure. You’re going to love these! In a food processor, crush graham crackers until fine crumbs. Add sugar and melted butter, mix until all the crumbs are wet. Press into the bottom of 5 (5oz) cups (I got mine at Dollar Tree). In a medium sized bowl, blend the cream cheese, cool whip, powdered sugar, lime zest and lime juice with a handheld mixer until combined. Fold in the chopped blueberries. Scoop the cheesecake mixture into a plastic bag (it might be runny and messy, so be careful), cut off the corner, and pipe the filling into the cups on top of the graham cracker crusts. Top with extra blueberries, cover with plastic wrap, and refrigerate for a couple of hours to overnight, just to help it set up. 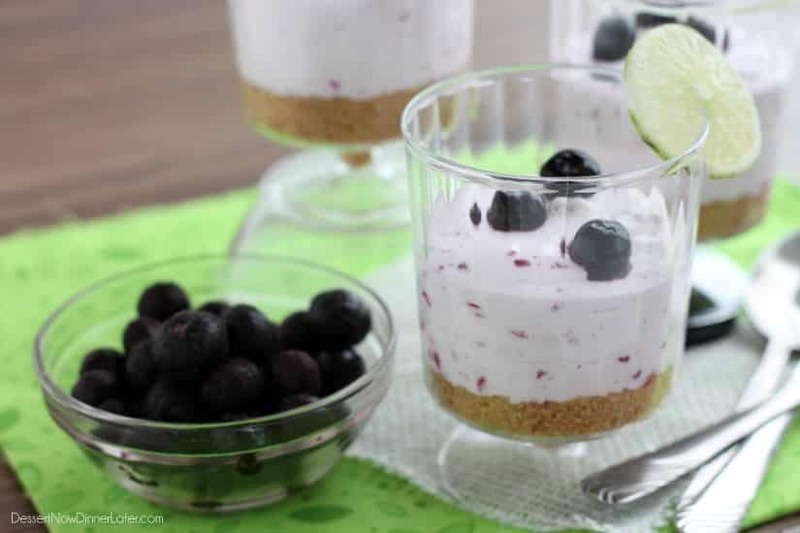 If you eat these cheesecake cups immediately, the texture will be more like yogurt instead of puffy no-bake cheesecake. Keep stored in the refrigerator for up to 7 days. So cute! I love all of your no-bake desserts! And I love that you’ve lightened this one up a little! These look so yummy! I agree, every thing is more fun in an individual serving size! Mmm! These look so pretty and delicious! 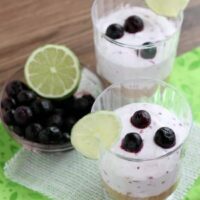 I am LOVING blueberries lately but never thought to pair it with lime! Mmm.. my husband loves anything Blueberry! I’ll for sure have to make this for him! Yummy! I love a good no bake dessert. Especially when it has the word cheesecake in it! Yes! 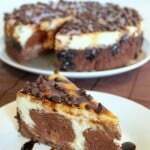 No bake cheesecakes are my favorite! Can I use lemon juice instead of lime juice?